On the way to Montreal, we stopped by at McDonald's to get some food and soda. Then, I luckily found new or limited 3 items there. 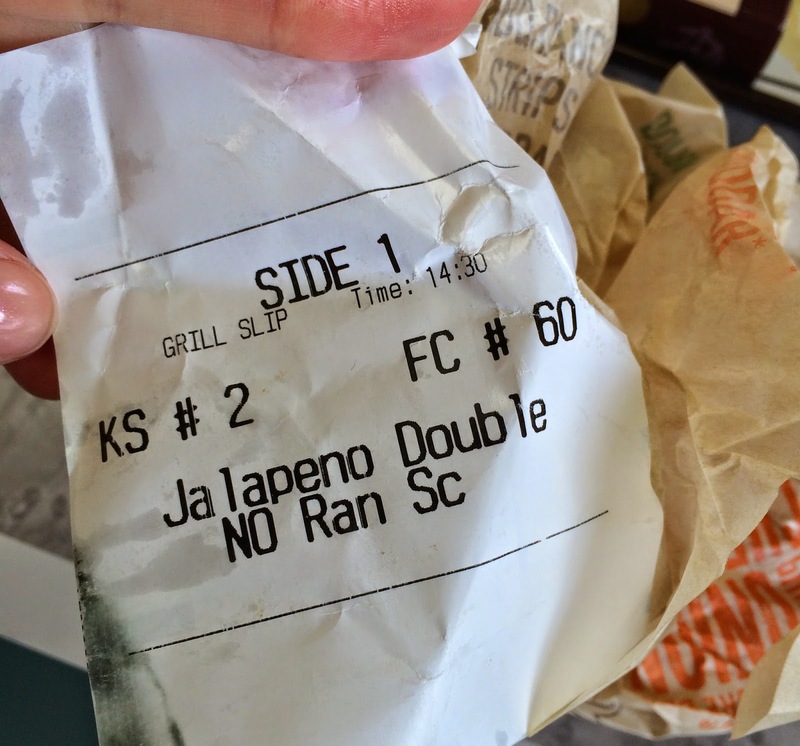 First item is "Jalapeño Double." We've never seen or heard this item till that day, July 27, 2014, yet I saw some posts back in April. So it's been around this spring but they still call it "new" I guess. When I saw a image on the menu board over the counter, the sauce looked suspicious, so I asked a cashier if it's mayo then she said ranch, so I asked without ranch dressing. This burger consist of 2 beef patties, a slice of white cheddar cheese, sliced jalapeños, fried jalapeños and ranch sauce. 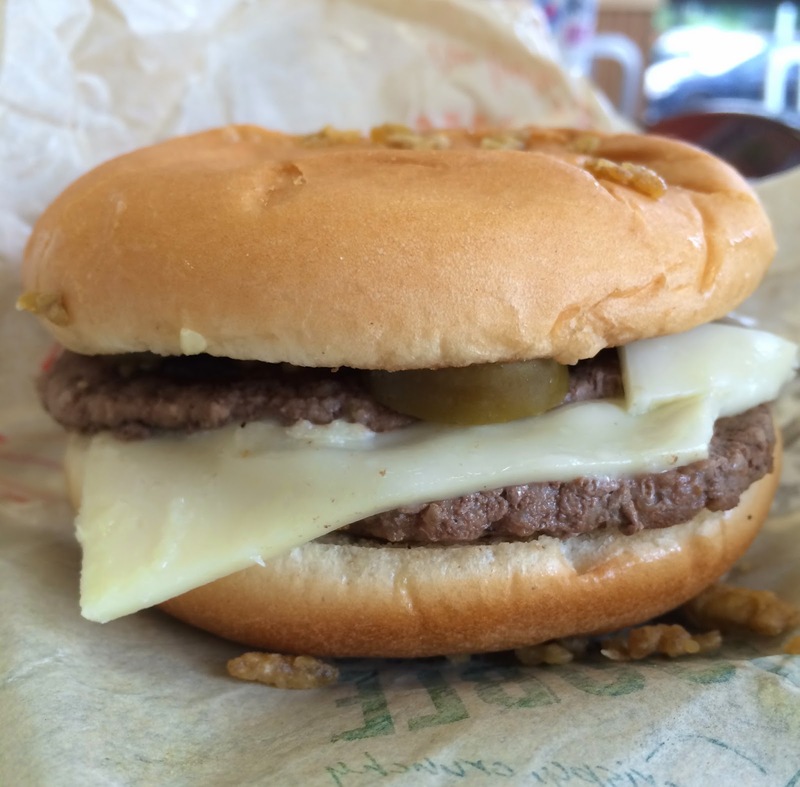 This is the Jalapeño Double. As I asked for no ranch, so there's a tag stating "NO Ranch." 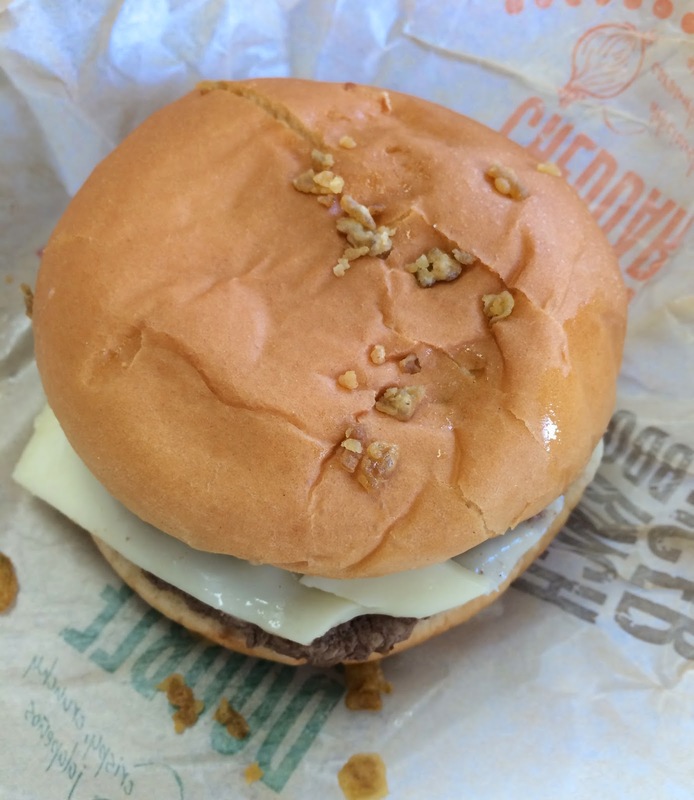 When I opened the wrap, I had no idea what the h*ck all these fried stuff on the bun were. 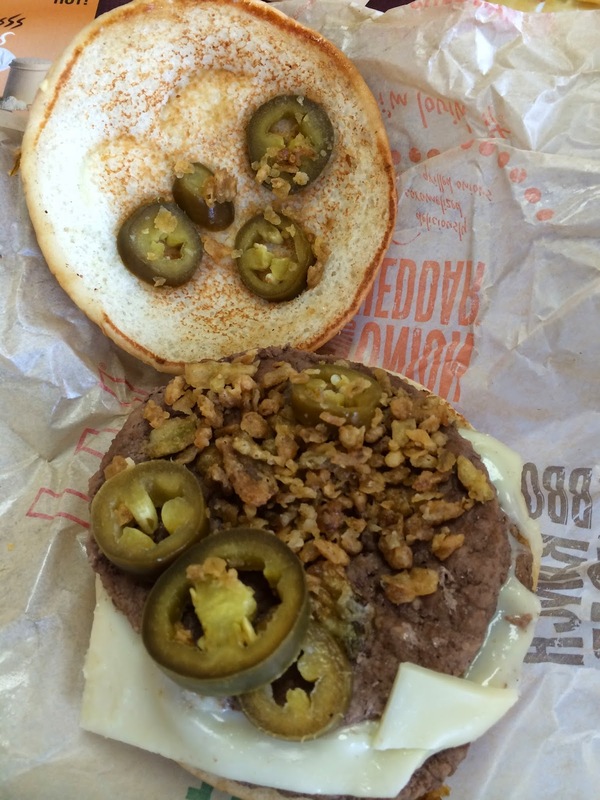 I see all the ingredients in the buns, and also those fallen fried jalapeños. There're a lot of sliced jalapeños (yay!) and chunks of fried jalapeños piled over the beef patty. First I thought they'd fry sliced jalapeños covered with batter, but I guess they use chopped jalapeños possibly to create crunchiness. And the reason they're fallen from the burger was the lack of ranch sauce, which can be a glue to keep everything stick together. It's hard to eat while fried jalapeños were falling form the burger, but I loved the sourness and spiciness of fresh sliced jalapeños and crunchiness from fried jalapeños. 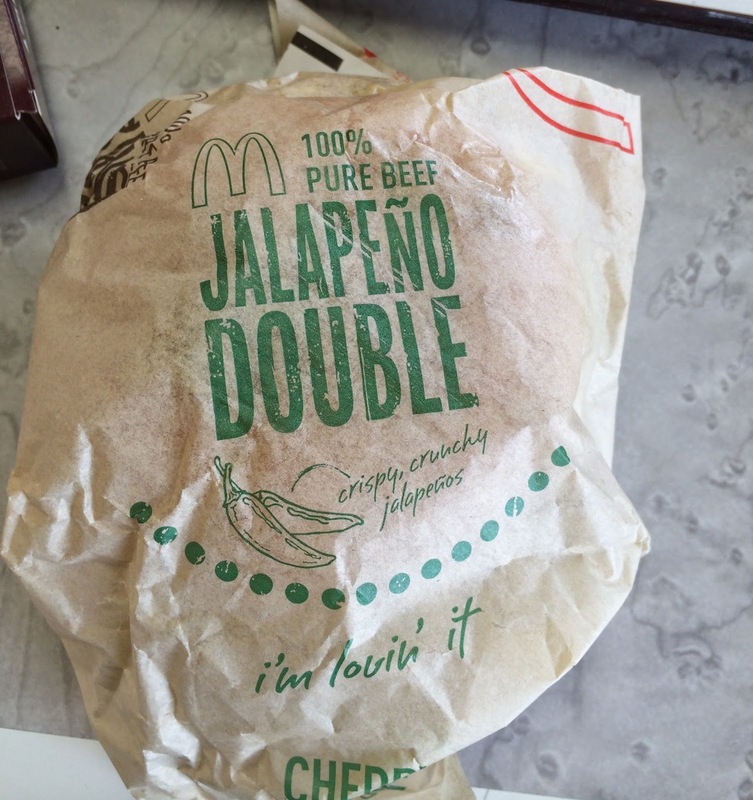 Without ranch sauce, I could taste the spiciness directly and also the cheese and beef, so I actually recommend this Jalapeño Double without ranch.